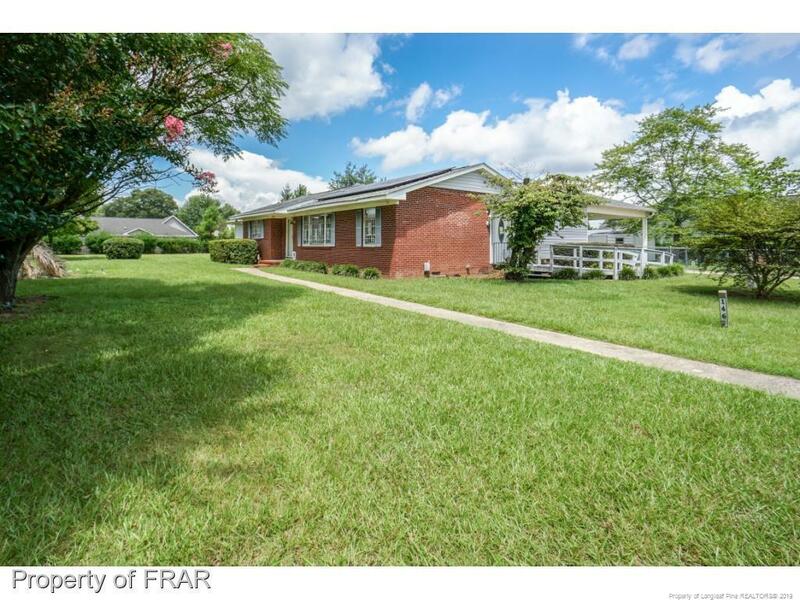 SOLID BRICK 3BED/2BA HOME IN AN ESTABLISHED SUBDIVISION CONVENIENTLY LOCATED NEAR SHOPPING AND FORT BRAGG!LARGE FULLY FENCED HALF ACRE LOT WITH DOUBLE CARPORT AND OUTSIDE STORAGE BLD.UPDATED KITCHEN AND BATHROOMS, NEW CARPET AND PAINT! SPACIOUS LIVING AREA TO INCLUDE FORMAL DINING.MASTER SUITE HAS LARGE BATHROOM AND WALK IN CLOSET.SEPARATE LAUNDRY ROOM.PRICED WELL BELOW APPRAISED VALUE!HOME HAS E/SHIELD ENERGY BARRIER AND SOLAR PANELS FOR GREAT ELECTRIC BILL SAVINGS!2013 HVAC/2017 WATER HEATER! Directions: Raeford Rd To Right On Gillis Hill, Take First Left On Old Fayetteville Rd, Take Right Onto Acacia, House Is On The Left Just Before Holly Chase Entrance .